How do I know fall is here? Right on cue there’s a chill to the evening air, the leaves are turning color and my skin is drying out. Once the weather turns cooler my hands and legs become itchy and flaky. There was never enough lotion in the world to stop the itching. Of course I’d always start applying lotion consistently when the painful cracks appeared. 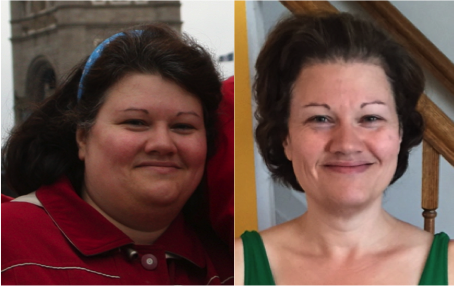 Thankfully my fear of loose skin kicked my daily care routine into high gear. I’m much more proactive, applying lotion daily and staying hydrated (water really is the key to great skin!). Unfortunately I was so focused on all the areas with loose skin (my body) that my facial routine went out the window. I’ve been so worried about combating loose skin I’ve neglected my face. Luckily for me I don’t have too much sagging facial skin with the weight loss. However in the last few months I’m noticing more acne, some flakiness and small spots on my left cheek. And the circles and puffiness around my eyes has got to go. But where to start. There are so many products. How do you know the good from the crap? And what type of skin do I really have. Yes I have some flakiness but some spots are oily. I guess that’s combo skin. Fortunately make-up guru Lisa Eldridge has some great videos on skin care. You can find the second part of this video here and the update here. I know I need a cleanser, exfoliator, eye cream and sunscreen. However, I think my very first step is getting a facial. A facial would exfoliate the dead cells, clean out the blackheads, open up pores, increase circulation, and super hydrate my skin. But the real value is learning what type of skin I really have and getting advice on the products I need. That could save me time and money. Once I have a handle on my skin, then I can head out to the local drug store. Of course, its one thing to buy this stuff. It’s another to actually build a new skin care routine. Goodness…I need to make more room in my bathroom cabinet! Caution: Shoes are much more neon yellow than they appear! Introducing the new Saucony Hurricane ISO, my new running shoe! After my 5K Saturday morning, the hubby got the running bug. A few years ago he got into running but thanks to work and “the state of The World” (of Warcraft),” he got sidetracked. Well now that he is working out at the gym and mostly sticking to his low carb foods, he wants to take up running again. Sunday we headed over to Pacers, a local running store, for a proper shoe fitting. Thinking ahead, I wore my running shoes. Was it time for a new pair? Turns out, the answer was a big yes!